When Oracle bought Sun Microsystems five years ago, Larry Ellison made a lot of noise about how owning the entire systems stack, from applications to silicon, would allow him to do unique things with Oracle's servers. After five years of bluster and hype, he may finally have delivered -- but will customers buy what he's selling? Oracle is announcing a new line of servers at OpenWorld on Monday based on a new Sparc processor called the M7. It has the usual improvements you'd expect in a new chip -- more cores, bigger caches, higher bandwidth -- but more interesting are software functions Oracle has embedded into the silicon to improve the performance and security of applications. They include a memory protection technology that could provide a new level of security for in-memory databases, and an acceleration engine that allows data to be decompressed in near-real time for analytics, allowing for wider use of compressed data. "Both of those are very interesting, because they're features I don't think a company that makes just chips -- that didn't have the software guys working with them -- would have invented," said Nathan Brookwood, principal analyst at Insight64. With each new processor Oracle has released, he says, he asked the company what new features it was able to include as a result of owning both the silicon and software. "Invariably they would say, well, you know, it takes time to do that, we don't really have anything yet," he said. "But with the M7, they do." It's also the first new Sparc processor core designed entirely in-house by Oracle. It takes four to six years to design a new microprocessor, and it's been that long since Oracle bought Sun. "This is the first project that has Larry's fingerprints all over it," said Marshall Choy, Oracle senior director for Optimized Solutions. 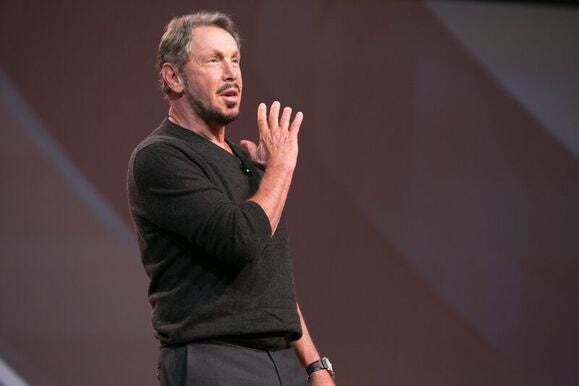 The M7 will go on sale Monday in new models of Oracle's T- and M-series servers, as well as an upgrade to the Oracle Supercluster, a pre-configured system for running the Oracle database. The memory protection technology, dubbed "silicon-secured memory," prevents malicious programs from accessing parts of main memory that they're not supposed to -- thwarting a common attack method for hackers. When an application needs a new chunk of memory, the M7 creates a unique "color bit," or key, which ensures the application can access only the portion of memory assigned to it. When the application process ends, the key expires and a new one is created for the next memory allocation. "That's how we can prevent a piece of malware from accessing a memory segment it's not authorized to, because it will do that color code checking and abort the program if it doesn't match," Choy said. The feature is significant because customers are putting larger amounts of data in memory for analytics, where it's more to vulnerable to attack. The secured memory technology will be available to any application that runs on the M7 systems, Choy said, not just those from Oracle. It can also uncover low-level bugs in software because it exposes any problems with memory allocation, he said. For decompression, the accelerator in the chip runs at the full speed of Oracle's in-memory database, meaning customers can use compressed data for in-memory computing without the performance overhead they would normally incur. Oracle is offering the M7 chip both in its T-series servers, used for scale-out configurations, and in its M-series servers, which scale up to form big SMP boxes. It's the first time Oracle will use the same processor across both product lines. "We literally have one chip," Choy said. "We have exactly one part number for the M7." The processor has 32 cores, up from 12 in the M6, and a clock speed that tops out 15 percent faster, at 4.1GHz. It has four times the cache per core as its predecessor, and doubles memory bandwidth. Oracle claims its new servers run common benchmarks like SpecJ with full encryption and still best those of rivals like IBM. Real world performance will depend on a lot of customer-specific variables, but the M7 looks like a powerful chip. The T series servers are offered with one, two and four processor sockets, and the M series servers with eight to 16 sockets. That's fewer than the 32-socket configurations supported by the M6, but Oracle apparently wasn't seeing a lot of demand for the biggest configurations. "We think 16-way will be very sufficient," Choy said. The new servers also allow for live migration of virtual machines while encrypted, for tasks like disaster recovery or planned maintenance. "If you have a rogue employee who puts a packet sniffer on the network, or malware that's able to commandeer VMs in transit, you'll get nothing back in terms of usable data," he said. Oracle needs the new capabilities if it's going to win new customers for its hardware, at a time when the Unix market overall is declining and customers are putting more workloads into the cloud. 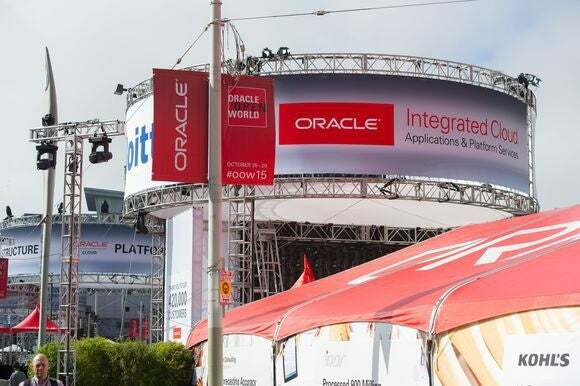 "The biggest challenge Oracle is facing is that it's still an uphill battle to get people who aren't already using Sparc and Solaris to move onto anything that isn't broadly industry standard," Brookwood said. But Ellison has shown shown a continued willingness to invest in Sparc. "He has the resources to keep this going as long as he wants, and that's important," Brookwood said. "It's a luxury Sun never had." This story has been updated to correct the spelling of Marshall Choy.